Sony Classical release the much-anticipated annual 'New Years Concert' release. The New Year’s Concert live from Vienna is one of the world’s most famous and spectacular classical music events. It is broadcast from the flower-filled Golden Hall of the Vienna Musikverein on TV and radio in almost 80 countries around the world with over 40 million viewers. The annual New Year's Day Concert in Vienna has been a major event for more than seven decades. The resulting recordings with works from the Strauss dynasty and their contemporaries are among the most classical important releases available today. 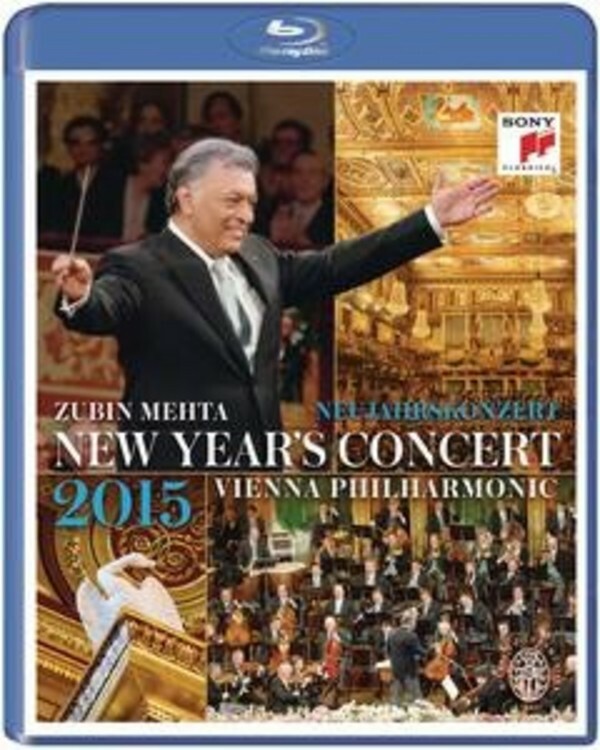 For the 2015 concert, the Vienna Philharmonic has invited Zubin Mehta to conduct. This will be the 5th time that Maestro Mehta has ascended the podium. He previously conducted in 1990, 1995, 1998 and 2007.